"Terror beyond your wildest dreams." Kristen, the daughter of one of the people who burned Freddy, is now bringing her friends to him. One by one, the high school students die in gruesome ways in their dreams. From being turned into a cockroach to a karate fight, this movie gives a little more in the way of detail in the deaths that take place. 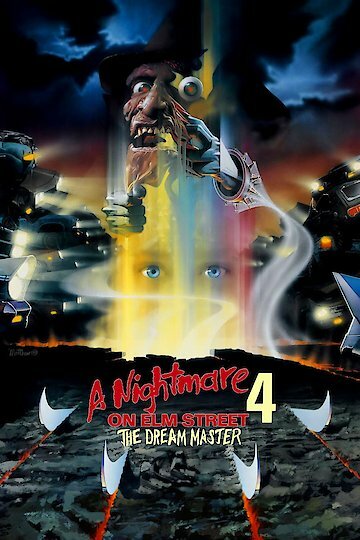 A Nightmare on Elm Street 4: The Dream Master is currently available to watch and stream, buy on demand at Amazon, Vudu, Google Play, FandangoNow, iTunes, YouTube VOD online.